PORT MOODY, BC – Twin Sails Brewing has announced the return of a popular limited edition pale ale. Fermented with Sacch Trois, then generously dry hopped with a trio of Australian hops; Galaxy, Vic Secret and Enigma. The Sacch Trois provides a unique fruit forward profile with an underlying spice characteristic, while the huge dry hop throws a tonne of stone fruit on the nose, with papaya and peach on the palate. We allowed this one to dry out to ensure that it remained very drinkable. 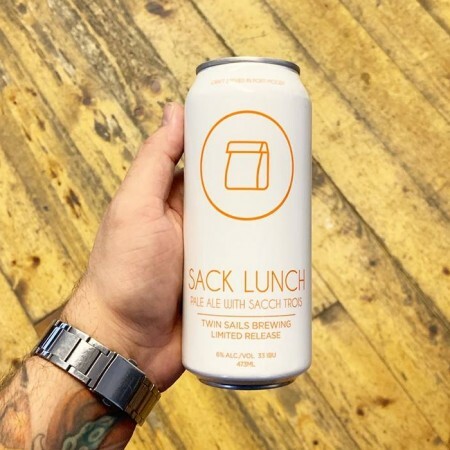 Sack Lunch will be available tomorrow (December 1st) in 473 ml cans at Twin Sails, with distribution to select private liquor stores to follow next week if enough stock is remaining.